At the time of the 1861 census, when John was five, he was living at 124 Bishopsgate Street in Cornhill, Middlesex with his parents and four older siblings who were all born in Richmond, Surrey, namely Lucy (14), Fanny (11), and Alfred (8), and one younger brother Josiah (2), who was born at Walworth. His father (38), who was described as a mercantile clerk on John's birth certificate, now described himself as a “housekeeper” (expanded to “housekeeper in charge of dwellings”). John's youngest sister Jessie was born in 1862. At the time of the 1871 census John's parents were living at 62 & 63 Cornhill, London, but no children were at home. John (15), who was still at school, was living at 2 Ingham Place, West Ham with his brother-in-law John Airey (39), who was a retired grocer, and his family, and also living with Airey were John's brothers Alfred (18), who was a builder's clerk, and Josiah (11). John's sister Jessie (8) was living next door at No. 1 with the merchant's clerk Henry Burrows and his nieces. Stansfeld left school shortly after that census to work in an engineering office. After several jobs in the City, he entered the Civil Service, for which he was to work for 30 years. In 1877 the Civil Service transferred Stansfeld to their Oxford office. By 1886 his parents had moved from 69 Cornhill, London to Prospect House at Long Crendon in Buckinghamshire. His father Alfred Stansfeld died there on 15 April 1886. His probate record describes him as a bank clerk: he left just £85, and his wife Eliza was his executor. Soon after his father's death John decided to study Medicine in his spare time: on 4 November 1886 he was matriculated at the University of Oxford by Exeter College. He was a non-collegiate member (so lived in his own home), and was awarded his BA on 6 July 1889. His widowed mother Eliza evidently moved to Oxford with him, as the 1891 census shows John Stansfeld (35) living at 67 Banbury Road in Oxford with his mother Eliza (70) and his sister Jessie (28). He was described as an “Officer of Inland Revenue 2 Class”, and his sister as a “Pharmaceutical student”. Stansfeld sat his first MB examination in 1893. After a period working in Glasgow and London, he qualified at Charing Cross Hospital, and in 1897 founded the Oxford Medical Mission in Bermondsey, where, as a condition for receiving free medical treatment, young men and boys were asked to attend a Bible Class on the following Sunday. The 1901 census shows him as a single man of 45 living in Bermondsey and described as “Physician & Surgeon, Oxford Medical Mission”. Phyllis Janet Stansfeld, known as Janet (born in Bermondsey on 18 November 1904). The Rev. J. S. Stansfeld, Warden of the Oxford Medical Mission in Bermondsey, has been appointed by the trustees vicar of St Anne, Thoburn-square, Bermondsey. The 1911 census shows Stansfeld (55) living at 5a Thorburn Square, Bermondsey and described as a medical practitioner as well as a clerk in holy orders: with him were his son John (7) who was privately tutored at home and his daughter Janet (6), plus a cook and a housemaid. His wife was not at home on census night. Stansfeld left London because of his daughter Janet’s ill-health, and served as Vicar of St Ebbe’s from 1912 to 1926, where he organized clubs and helped the unemployed of the area. His mother Eliza Stansfeld died in London (at 20 Glensham Mansions, Brixton Road) at the age of 95 on 2 February 1914. Her effects came to £470 3s. 8d., and her executors were John's younger brothers Alfred Stansfeld, who was an architect, and Josiah Stansfeld, who was a civil servant. In September 1914 the Revd Stansfeld, Rector of St Ebbe's, was also appointed to the rectory of St Peter-le-Bailey (held together). By 1922 St Ebba's Priory was already being used by children from outside Oxford, as the Oxford Journal Illustrated of 26 July that year has four photographs of girl guides from London staying there, showing them doing the morning wash, chopping wood, cooking, and following their leader. His wife Janet died of influenza at the age of 47 on 29 October 1918 and was buried at St Ebbe’s Church in Oxford four days later. (Her obituary appears in the Oxford Journal Illustrated on 6 November 1918.) Stansfeld used the money that they had been saving for a trip to the Holy Land to buy 20 acres of land off Quarry Road in Headington in order to give the children from the St Ebbe’s slums a chance of camping in the countryside at the weekend. This land, which he called St Ebba’s after his church, later became known as the Stansfeld Outdoor Centre. What was once the scene of the traditional industries of the village, stone-quarrying and brickfields, and until recently known as the ‘Clayhills’, was purchased by the Rev. 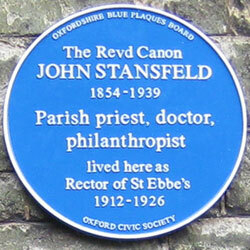 Dr. J. S. Stansfeld of Oxford and named St. Ebba’s. Amateur labour has erected a small chapel at the southern end of it. Here and there are temporary dwelling-houses which were put up to help families in difficulty during the housing shortage. While Dr. Stansfeld was in Oxford, St. Ebba’s was the happy hunting-ground of Boy Scouts from the more crowded parts of Oxford. Schoolboys from London were allowed to camp there. Tired mothers from the Friars (Oxford) came there to fill their lungs with the health-giving air without the fatigue of climbing the hill to the plain above. 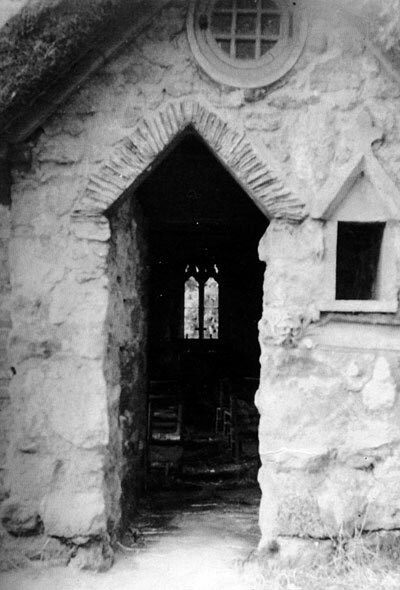 The chapel in question was named St Ebba's Chapel after the camp. 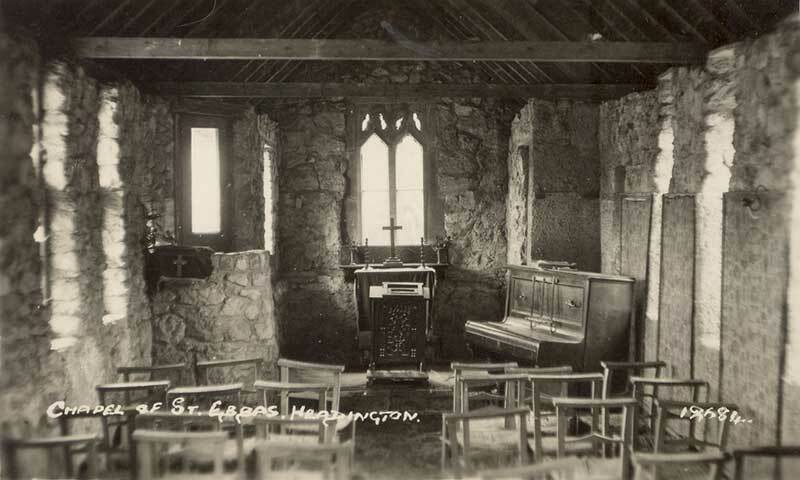 It was built by the men of Quarry for the children at the camp, but it was also visited by the children of Headington on their way up to Shotover. It had a thatched roof, and stood near Quarry Road. It was demolished in the 1950s, along with the nearby Round House chalet. Hugh Rogers (born 1914), who lived at 45 Paradise Square until 1925, talks about the land on the way up to Shotover bought by Dr Stansfeld and the big hut in which scouts and guides and other groups from St Ebbe's parish could camp free of charge in a recording held in the Oral History Collection at the Oxfordshire History Centre (ref. OXOHA:OT 140). 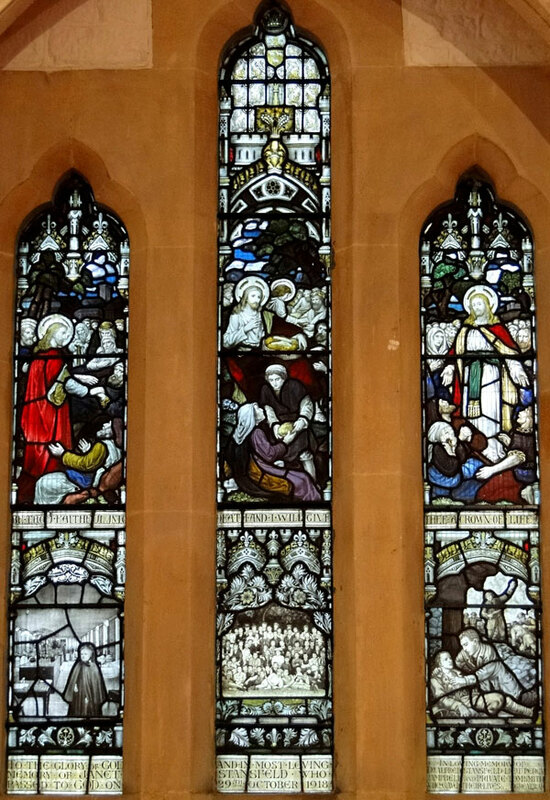 Through his work with the church, Stansfeld had made contact with the Parish of St Saviour’s in Birmingham, and the boys of Birmingham as well as the children of St Ebbe’s were able to come and enjoy the countryside in Headington Quarry. In the 1920s some temporary chalets were put on the site to help with a housing shortage. In mid-1926 Stansfeld, who was now aged 72, resigned the Rectory of St Ebbe’s Church. He remained Rector of St Peter-le-Bailey, but obtained one year's leave to go to Uganda for mission work. When Dr. Stansfeld left Oxford the land was rented by the Birmingham Education Committee for the purpose of establishing an open-air or camp-school for delicate children of the Birmingham schools. In the event Stansfeld spent three years in Kenya setting up a mission school, not returning to England until 1929, when he was given a country living in Spelsbury. His son John Gordon Stansfeld, who had been educated at Repton and Oxford, first became a clerk in the Bank of England at Bermondsey, and then for five years he was a housemaster in a Borstal Institution. In 1930 he went to Burma to help found their first training school for young offenders, and died in a tragic drowning accident there in 1931, leaving behind a fiancée. By a conveyance dated 21 November 1933 Miss Jessie Stansfeld, the vendor, of the first part and her brother the Revd Canon John Stedwell Stansfeld of the second part sold the land that was to become the Stansfeld Centre to the City of Birmingham. On 12 February 1935 Stansfeld's daughter Phyllis Janet Stansfeld married Robert Stanley Cobb, and they had one son, John Stansfeld Cobb, born in Nairobi on 26 June 1938. At the time of the 1939 Register Stansfeld was living at Spelsbury vicarage with his sister Jessie (born 21 April 1862), who was acting as his housekeeper, and Mrs Winifred Marie Eugenie Pauncett Stansfeld, a widow of private means born on 9 May 1867. John Stedwell Stansfeld died at Spelsbury vicarage on 17 December 1939 at the age of 85. His effects came to £559 16s. 8d. 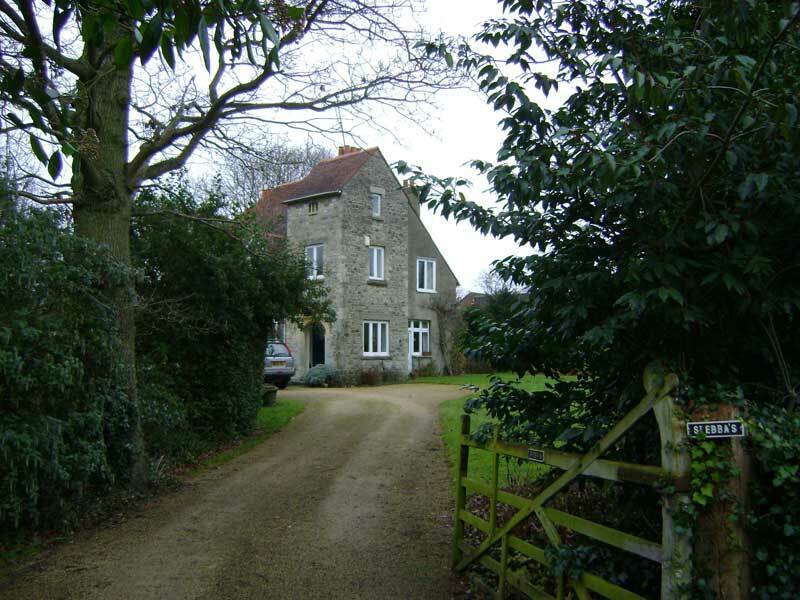 St Ebba's became known as the Stansfeld Outdoor Education Centre after its founder. Stansfeld is also commemorated in the street name Stansfeld Place (and possibly also in the differently spelled Stansfield Close). Until the end of July 2014 the Stansfeld Centre was used by Birmingham's outdoor service, and was also available to the children of Windmill School and Headington cubs and scouts. It was then put up for sale (see below). Stansfeld's sister Miss Jessie Stansfeld died at Spelsbury at the age of 92 on 10 January 1954. Her effects came to £474 14s. 1d., and her niece Phyllis was her executor. Stansfeld's only surviving child Mrs Phyllis Janet Cobb died in Aylesbury Vale on 25 November 1987 at the age of 82, and her only son John Stansfeld Cobb died in Birmingham just two year later on 9 February 1989. Above: This house called St Ebba’s on Old Road kept alive the old chapel name. Birmingham City Council agreed on 17 March 2014 to cease their outdoor learning service at the Stansfeld Outdoor Education Centre in Quarry Road, and in 2014 Birmingham Property Services put the 7.2 ha site up for sale by informal tender. The centre was registered as an asset of community value, so community groups had a chance to raise the funds to bid for the 250-year lease on the land for six months after it was put up for sale. Five bids were received, including one from Oxford Cohousing, and the Friends of Stansfeld group was founded. It was eventually purchased by the Oxford Trust, who are building the Science Oxford Centre at what they call Stansfeld Park.